The apostle James has more good advice about the tongue. Even if you don’t consider yourself a major gap filler, perhaps you know what it’s like to be someone who is “quick to speak.” That’s an easy trap to fall into, especially when dealing with family members. Or maybe you can relate to being “slow to listen,” thinking more about what you’re planning to say rather than really listening to what a friend is sharing. However, according the passage from James, listening is something we should do quickly; and when it comes to speaking, we should take our time. And I love how, for extra emphasis, James begins by saying, “My dear brothers and sisters, take note of this…” He knew we’d need to plaster this verse on a neon-colored sticky note posted right on our bathroom mirror where we are sure to see it! Speaking too soon combined with not listening leads to conflict — and conflict often leads to anger. But when we choose to live out the words of this verse, the promise of Scripture is that we can defuse angry encounters before they even spark. So let’s go back and see what boxes we can check on some of our elementary practices of the faith. Namely, talking and listening. When I break down these verses into foundational principles, I come up with three warnings about words and then one piece of advice. The warnings? Don’t speak without first listening. And then the advice? Don’t speak at all. 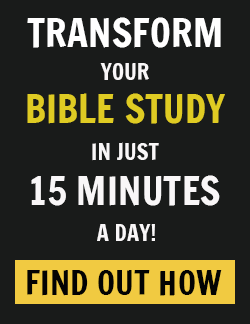 When we rattle off words in rapid succession, we will almost certainly end up saying something that is sinful. But a person who learns to control what she says (and perhaps how many words she uses) is smart indeed. Has your mouth ever gotten you into trouble — yes, even made you sin — all because you talked too much? In your conversation you started to ramble. The more you spoke, the more your speech dug a deep hole, tripping you up and trapping you inside. Soon you were in a mighty tangled mess. It’s certainly happened to me. In my conversation with my friend, I was just rambling on and on and really didn’t give her much time to talk. In trying to express that we were happy our daughter not only chose someone who was good-looking, as this teenager was (hey, I might be getting old, but I’m not blind! ), but also someone of good character who had a wonderful personality and godly habits and traits, somehow just the opposite came out. Although I didn’t know it at the time, she thought I was saying we were glad our daughter was choosing on character and cared less about looks because, boy — was her son homely! This was in fact just the opposite of what I was actually trying to say. It wasn’t until a few days after this basketball game that I realized I had conveyed the complete opposite of what I was trying to say. I received a letter from my friend stating how hurt she was that I would give a backhanded compliment about her son’s character while at the same time basically saying he was unattractive. I was floored. And devastated. And misunderstood. And now I had a fractured friendship with someone I’d really hoped I could hang out with. All because my words were too many. I called her up immediately to apologize and to state what I’d meant to say before my rambling and roaming thoughts came out as misspoken words that led to misunderstanding, conflict, and offense. Speaking too soon. Before all the facts are out. Before we really understand those facts. Before we’ve listened fully to the other side. And most importantly, before we’ve had time to pray and process what we’ve heard with the Lord. When we do any one or even a combination of those things, we are foolish. Scripture has many things to say about fools. They are senseless, lacking in understanding, rebellious, and can suffer affliction because of their choices. They hate knowledge. They are wayward. Simpletons. Complacent and shameful. They do not listen to instruction, and as a result they come to ruin. Their way seems right to them, but it leads to disaster. They show their annoyance at once and refuse to overlook an insult. Don’t know about you, but that’s not a list of descriptions I want tacked on to my public profile! In order not to speak too soon, we need to cultivate two habits: perfecting the art of the pause and pondering. Perfect the art of the pause. Pausing creates white space in a conversation that enables us to sort out our thoughts before we let out our words. Perhaps you’ve heard the old “count to ten” advice. Although it may sound silly, I know from experience it can help. Counting to ten before responding provides just enough wiggle room to really think through what we are about to say, sometimes realizing in that short pause the ridiculousness of the words we were about to let out of the trapdoor of our soul. Ponder what the other person said and perhaps go on a fact-finding mission. How easy it is to jump to conclusions when we don’t have all of the facts. Holding our tongues, and our opinions, for a while often gives us time to assess the situation clearly before pronouncing judgment. In fact, if you are in the middle of a heated discussion with someone and they ask, “Well, what do you think?” it is perfectly reasonable to tell them you don’t yet know what you think. Yes, this may frustrate some people. They may think you’re copping out. They may even accuse you of not knowing your own mind. But I have found that many times what I was going to say (but thankfully didn’t!) was not in the end what I wanted to express. 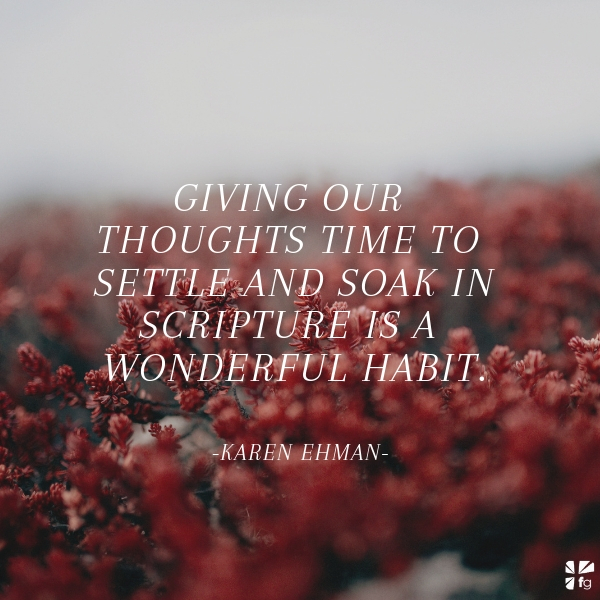 Giving our thoughts time to settle and soak in Scripture is a wonderful habit that will keep us from answering too soon and looking foolish. So pause. Gather facts. Think before you answer. Do not speak too soon. 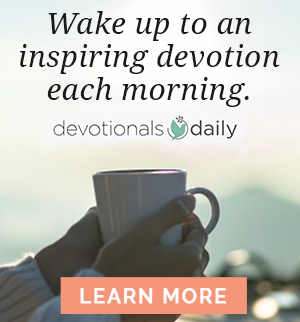 Excerpted with permission from Keep It Shut by Karen Ehman, copyright Karen Ehman.